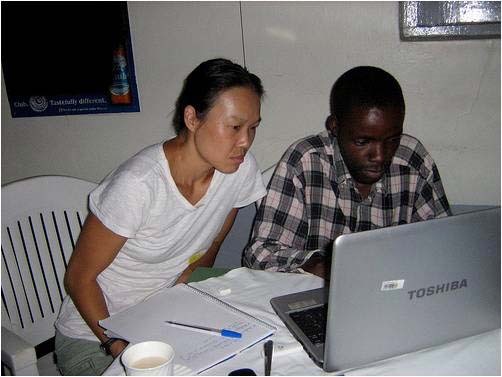 Shoulder to shoulder: AP Peace Fellow Dina Buck with Fred Lulinaki, an advocate for the rights of pygmies in Uganda. The Advocacy Project, also referred to as AP on this website, was established in 1998 to help marginalized communities and their advocates take action against injustice. We undertook our first project in 1998, when we produced an online report from the Rome Conference to establish the International Criminal Court. For more on AP’s early history, please visit our History. We define communities broadly, and are particularly drawn to those that are despised and friendless. This has led us to support – among others – Roma, Travellers, Dalit, pygmies, waste-pickers, and river gypsies. We take their side because it is the right thing to do, but also because they can produce gifted advocates who can mobilize large numbers of people to make the case for real change. After being approached by a community, we form a partnership with advocates who emerged from the community and know the issues intimately. Over the years we have worked with 114 community-based partners, and we hope that most will eventually have a page on this website. For the moment, we are focusing on current partners. Their pages can be found by clicking here . 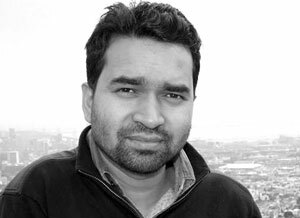 Suvash Darnal 1980-2011: A tireless advocate for Nepal’s Dalits, Suvash founded the Jagaran Media Center to fight caste discrimination through the media. He joined the AP Board in 2008 and dreamed of hosting an international meeting of AP partners in Nepal. As the relationship matures, we work with partners to map out a long-term program with clear campaigning goals that will produce tangible benefits, change policy, and strengthen the partner organization. Current campaigns are featured here. From the beginning, our work has been guided by committed board members. These have included distinguished advocates like Suvash Darnal (photo) who founded the Jagaran Media Center in Nepal. We continue to mourn the tragic death of Suvash from a car accident in 2011. We are also fortunate to be able to draw on a large number of volunteers and interns and are deeply indebted to the many individuals and institutions that have supported us through the years. They are listed on this page. It has been a wonderful 18 years. We have remained true to our core mission – to help vulnerable communities speak out and take action. But we must be alive to new possibilities. In 1998, it was the Internet. In 2010 it was advocacy quilting. Tomorrow, who knows? Let the adventure continue.